A biomedical research pioneer, Dr. Joel D. Wallach spent more than 40 years in the field of Veterinary Medicine, observing and researching the effects of individual nutrients on animal health, before becoming a Naturopathic Physician in 1982. Today, Dr. Wallach is renowned for his groundbreaking research on the health benefits of selenium and other minerals. He currently dedicates his time to lecturing throughout the world on the therapeutic benefits of vitamins and minerals, and on lobbying the U.S. Food and Drug Administration on behalf of the dietary supplement industry. 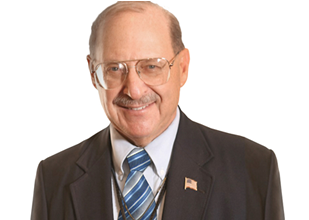 Dr. Wallach has been appearing recently with George Noory on Coast to Coast AM. Catch our regular Dead Doctors Don't Lie show on the air or here in our podcast library. Dr. Joel Wallach begins the show discussing disease free populations of animals. Explaining that the top 20 longest lived cultures are all third countries except one. Contending that they don't have access to medical care and health insurance. Asserting that these countries combined spend less on healthcare than the U.S.
Doug Winfrey and Dr. Wallach discuss a news article on a British study that was a metanalysis of 95 studies on fruit and vegetable intake of over 2 million people. Finding those eating 10 servings of fruits and vegetables daily reduced the risk of heart attack, stroke, cancer and early death. Reducing heart disease risk by 24%, stroke 33%, cardiovascular disease 28%, cancer 13% and a 31% reduced risk of premature death. Melissa's mother has stomach ulcers. Gary has a friend with a traumatic brain injury leaving her in a wheel chair. Tom has a friend with constipation, anemia and leg cramps. Dave has a friend with several health challenges including arthritis, osteoporosis and a benign tumor on her adrenal gland. Lynn has a kitten with a viral infection. Doug Winfrey and Dr. Wallach discuss a news article concerning a study about multivitamins. The 40 year long study found that men who supplemented with multivitamins for 20 years or more had a reduced risk of cardiovascular events. In fact the risk of heart attack, stroke or cardiovascular disease related death by 14%. The article also listed several foods that have cardiovascular health benefits. Alvin asks Doc if it is ok to consume raw eggs. Tommie's husband is experiencing vertigo and dizziness. Precious has questions concerning detoxing, pancreatic cancer and weight loss. Dave asks Doc if Youngevity is working with Tiger Woods. Annie's son has severe schizophrenia and gets violent at times.